Last week was all about major, non-hardware announcements as both Google and Microsoft held their developer conferences. While we already covered some of the biggest stories from both the events, one bit that was missed and which would actually be a very useful feature for the end users is the availability of Windows 10 April 2018 Update‘s Nearby Share for Android and iOS, as well. 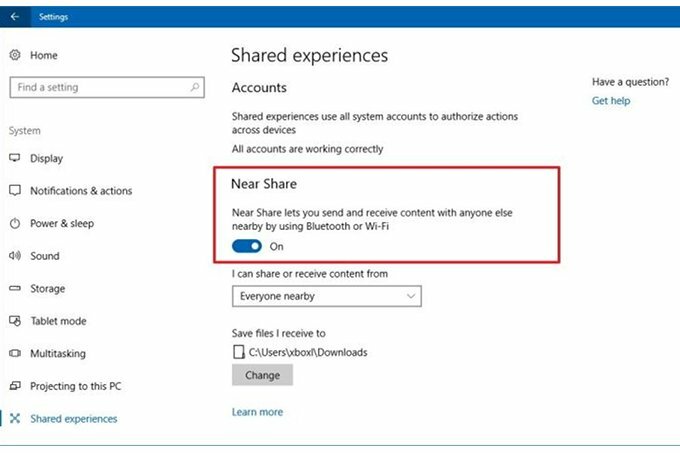 This feature works similar to Apple’s AirDrop as in its lets users to quickly share content between Windows 10 devices. Released with the April 2018 Update, Microsoft has now confirmed that it will be supported by Android and iOS platforms. Users on Android can apparently already share content from their Android devices to Windows 10 PC. However, they can’t share content from Windows 10 devices to their Android handset – a feature that is expected to arrive soon. Windows 10 Nearby Share uses Bluetooth to detect nearby devices and shares content using WiFi or Bluetooth. 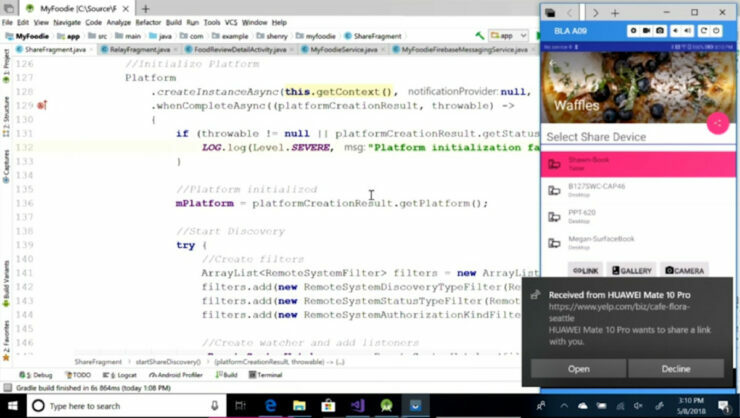 The ability to share content between Android / iOS devices and Windows 10 devices, however, doesn’t come as a surprise since Microsoft had hinted during the internal testing phase at the end of the last year that it will be extended to mobile operating systems. You can enable Nearby Share also known as Near Share or Nearby Sharing from Settings > System > Shared Experiences > turn on the Near Share toggle as seen in the above, featured image. Have you installed Microsoft’s latest Windows 10 version 1803? Don’t forget to share what features have fancied you the most so far.